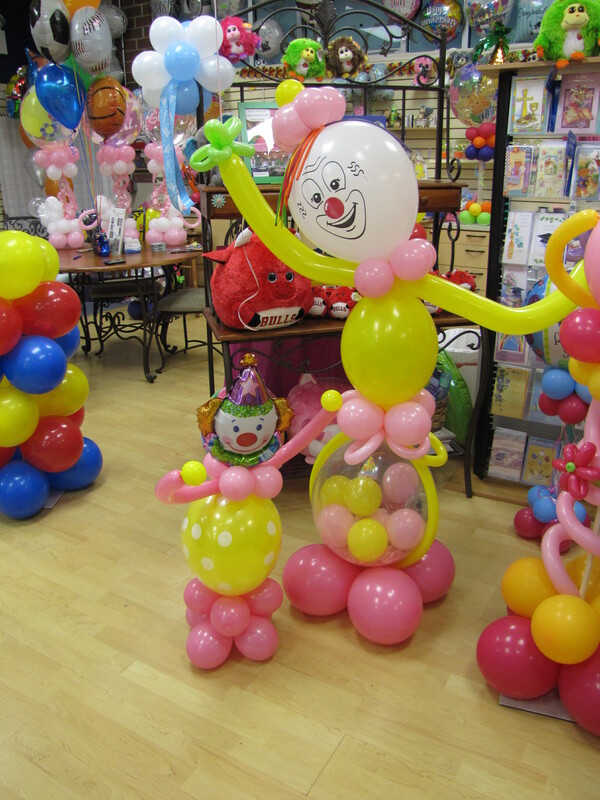 There are days that I feel like the balloon store is a three ring circus. 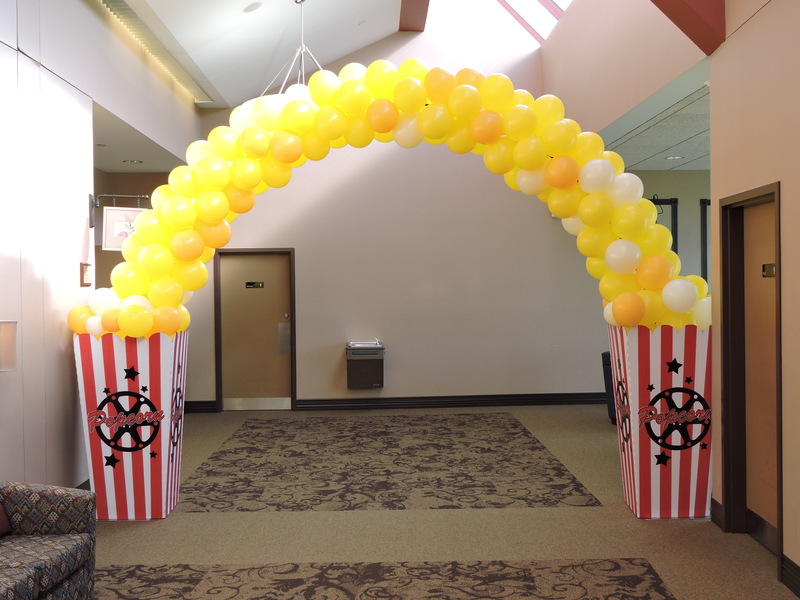 We’re juggling balloon orders, shoving a few pieces of popcorn in our mouth between customers, doing acrobat acts to get fly-away balloons off the ceiling and spinning around in circles. It can get stressful, but it does have many rewards. This particular customer was one of those rewards. 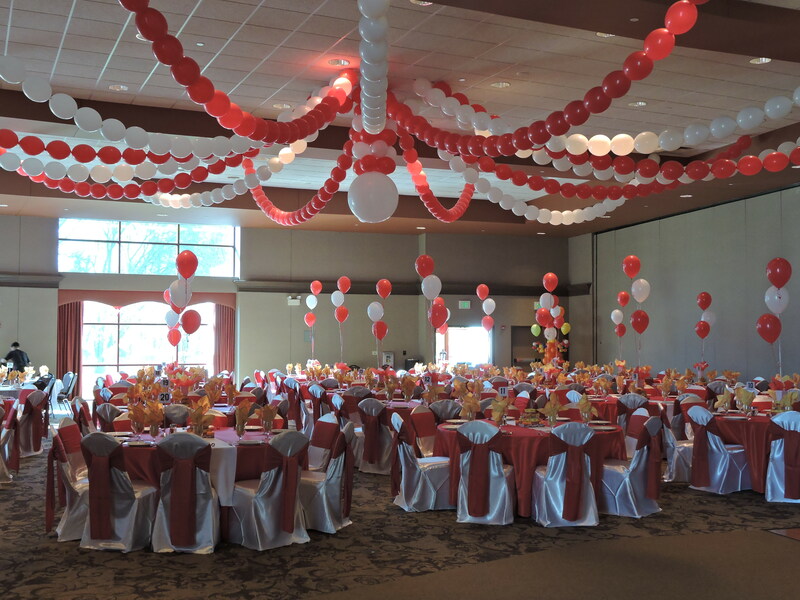 His excitement for helping his students create their perfect prom was a 10+ on a scale of 1-10. He made sure to keep his students involved in the decisions. 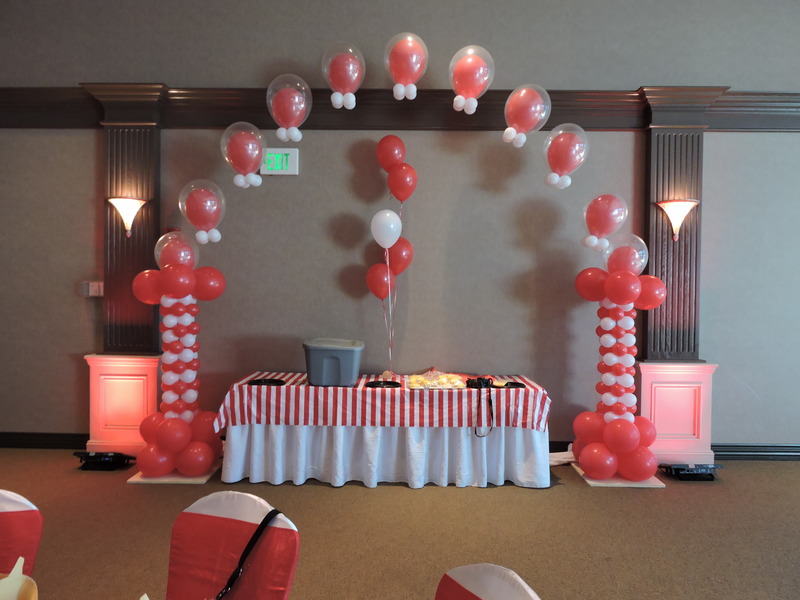 And he was open to their ideas and had great big dreams of his own as he created the perfect CIRCUS THEMED PROM DECOR. Notice that we put the school name on the balloon! Customization makes our customers very happy and we can customize just about anything! 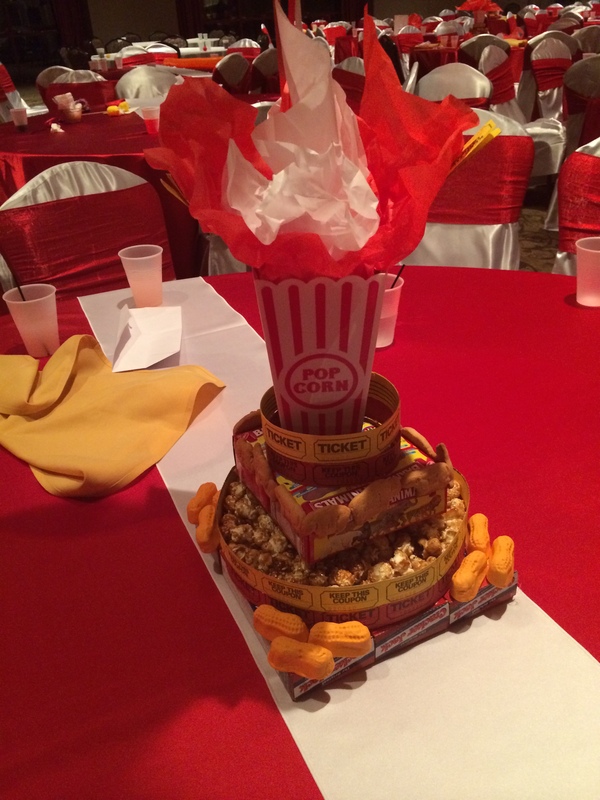 We did not create this centerpiece….one of the moms did….but we thought it was super cute so we snapped a picture ! 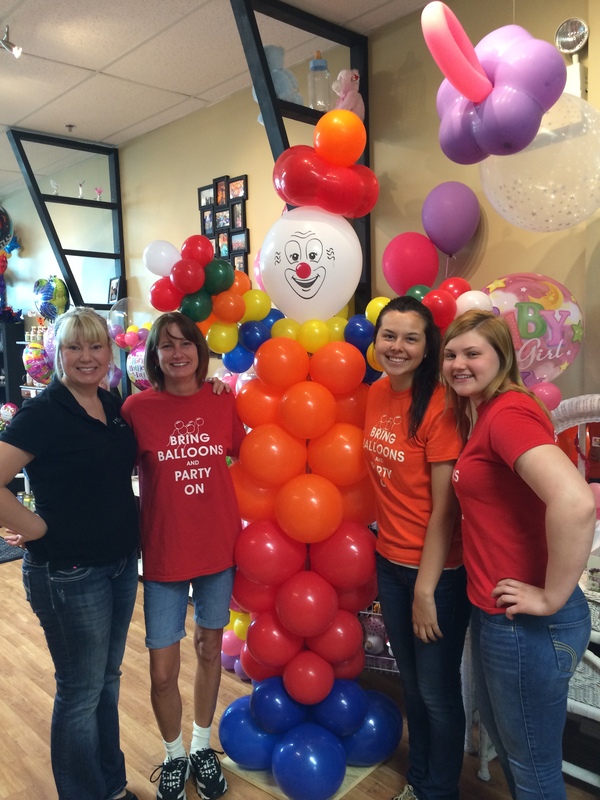 These are our amazing co-workers……we can all be clowns….but that’s perfect because we must make people smile! 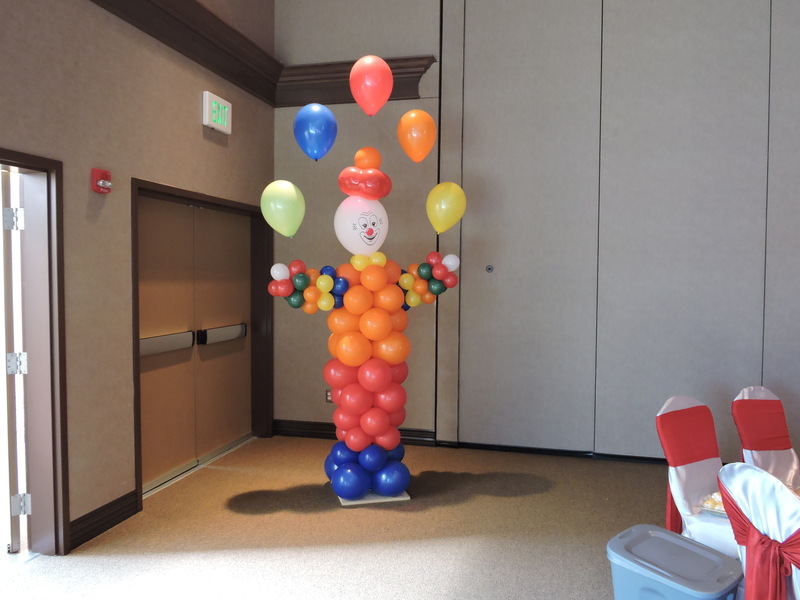 We also sell teeny tiny table sized clowns as well as medium sized clowns! Just visit the store and give us an hour or two notice. 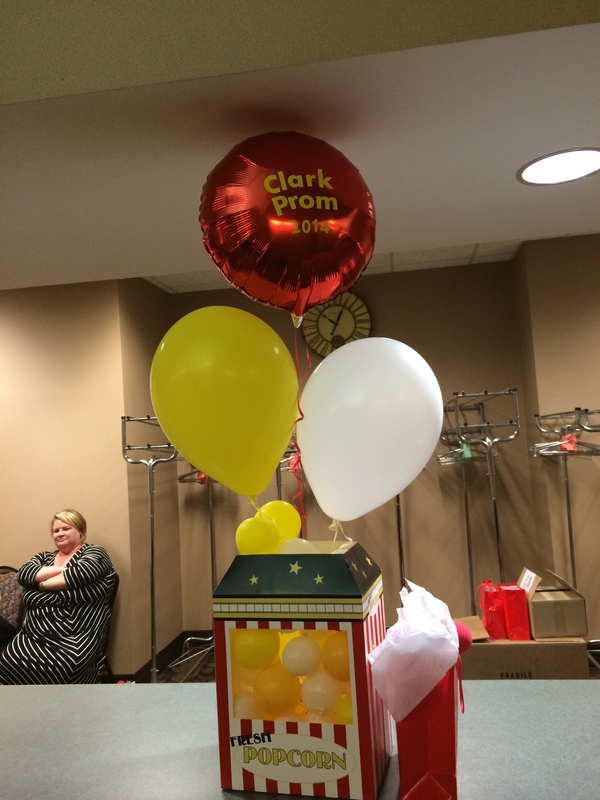 Contact us to be a part of your three ring circus today! 219-322-7777.